This is a small Mac OS X program I wrote to load sound banks into a microQ synthesizer. 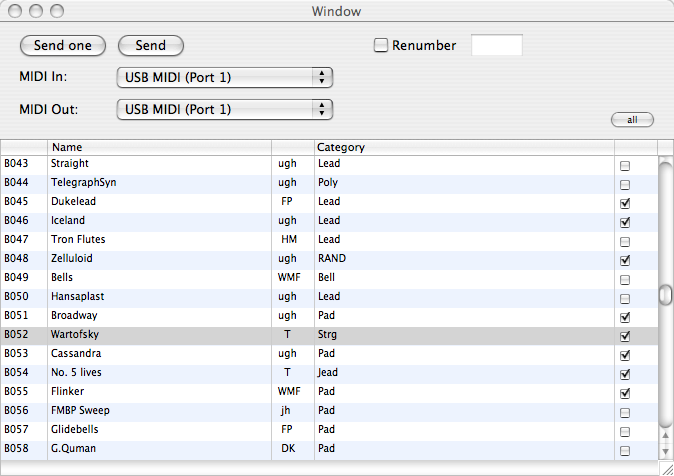 You can load a midi file countaining a sound bank, select which sounds you want to send to the microQ, and that's about it. The bankloader checks if the synthesizer is really listening before sending each sound. This is to avoid the "reorganizing memory" problem. In my tests, it seems to work, mostly. Sorry, no further documentation so far.